Rally Foundation for Childhood Cancer Research (Rally) is excited to announce that it has awarded a total of $3 million in grants to 55 researchers and institutions in the United States, Canada and Africa, further strengthening our mission of finding better childhood cancer treatments with fewer long-term side effects and, ultimately, cures. This marks the largest funding commitment in our organization’s 14-year history, bringing our overall total to $16.7 million in grants awarded for childhood cancer research. 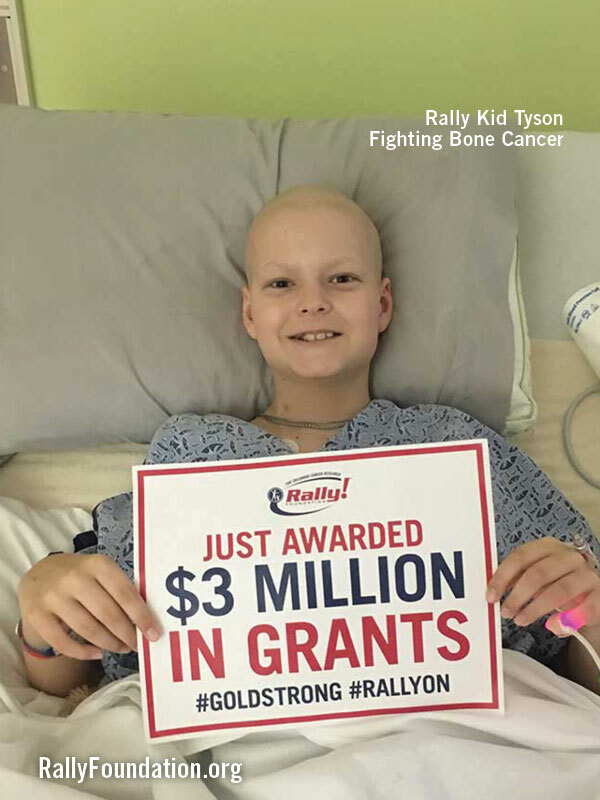 Rally grants are awarded based on a competitive dual peer-review process conducted by Rally’s Medical Advisory Board, which is made up of leading childhood cancer experts. These grants fund all levels of research, from science at the bench to translational, and they include second- and third-year fellows, young investigators, seasoned investigators, and consortiums, which are three or more institutions working together. This approach provides all levels of research a chance to flourish. This momentous occasion was made possible by Rally’s generous family of supporters who have taken the Rally Fit 46 Challenge, attended a Rally event, collected change through 4 Quarters 4 Research, participated in the McCann 46 Home Run Challenge, asked for donations in lieu of birthdays gifts, or made charitable gifts to Rally through any of our programs. Thanks to each and every one of you! In an effort to streamline the application process for researchers and foundations, Rally administers a Collaborative Pediatric Cancer Research Awards Program. Foundations that were part of this year’s collaboration included: The Truth 365, Open Hands Overflowing Hearts, Infinite Love for Kids Fighting Cancer, and the Luke Tatsu Johnson Foundation. Rally encourages organizations to co-fund research projects together in the spirit of collaboration. With your continued help and support, Rally will continue to fund the best and brightest research through our Medical Advisory Board’s dual peer-review process to give every child a cancer-free future.